Every American citizen needs to take 15 minutes of their time and listen to this interview by Zack Taylor, a retired Border Patrol Officer with 26 years of service. Our country is in deep, deep trouble. This is one of the most eye-opening interviews I've heard since the border crisis began. Mr. Taylor is very knowledgeable about border procedures and laws. This is very interesting, but very disturbing at the same time. For me, it completely confirmed many suspicions. I'm afraid this country will never be the same again. God help us all. NOTE: To watch the video, you must click on You Tube in the right hand corner. The video is set up to be watched on the You Tube website. Last edited by Neptune Report; 07-17-2014 at 06:19 PM..
You have to go to YouTube to watch it. I got a message that says "Watch this video on YouTube. Playback on other websites has been disabled by the video owner." Later on, I will click on the link. Thank you BOS2IAD - I'll add a note so that people will watch the video on the You Tube website. I've always said America will fall from within without a shot being fired. Can someone summarize the main points for those of us who can't see all the video? 80-90% of immigrants coming over the border are not being apprehended--only the youngest to draw compassion from the US. Known gang members, members of other countries are pouring over and US citizens are not aware of it. Central America is an obvious treat and the US has had a presence there military wise, intelligence wise, for a while. The border patrol is being instructed not to shoot anyone. In fact they are not being given any ammunition until 2015 per Department of Homeland Security. Assymetrical warfare is going on in the US, which is we will be attacked from within. The border patrol is distracted, resources are being taken away from the border to care for the immigrant children, and people are bringing in bombs, dirty bombs, diseases are coming into the US. This administration is aware of all this and is keeping it from the US citizens. I really have to listen to it again. Men, women and children are coming across like no tomorrow and disappearing into US society. The pictures of the "poor children" are done on purpose and represent about 1% of those coming across. Lots of tattooed gang members and there's nothing they can do. The CDC shows up and takes the sick kids away and no one knows what happens. DHS/HHS show up to take the kids away and no one knows what happens. Nobody in the other agencies is telling the Border Patrol what is going on and the Border Patrol are doing babysitting now and not their jobs of patrolling the border. Agents in AZ can't use their bullets, can't do training and were told they were not going to get any more bullets until late this year. Basically LE is being squeezed and redirected by the FedGov to do everything but apprehend and return. That's about what he said. Just finished watching it. Very chilling to hear what he has to say. Thank you, Neptune for posting this. You're very welcome. It's disturbing. We've already seen an increase in the Hispanic population. We have seen MS-13 written on the stop signs here in rural Georgia. Others have been completely defaced. 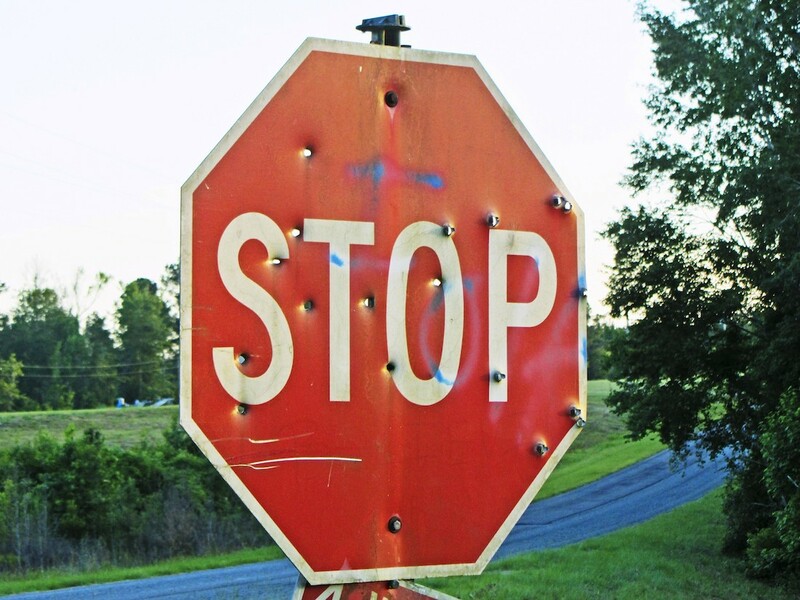 This doesn't include the stop signs with bullet holes. 16 Maps of Drug Flow into the U.S.
On top of all of this, we have Southwest Key Programs based in Austin, Texas. The majority of their money comes from Federal Grants from the government. This organization was started in 1987; however, look at where the main locations have been placed. There are 14 locations in Georgia. Last edited by Neptune Report; 07-22-2014 at 01:31 AM..